For the Middle East, 1869 was a critical year: after much planning and unstinting effort, the digging of the Suez Canal was finally completed. At last a shorter route connected Europe and the Far East. 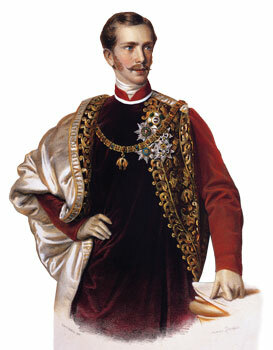 Among the world leaders attending the canal’s dedication ceremony was Franz Joseph, emperor of Austria-Hungary. 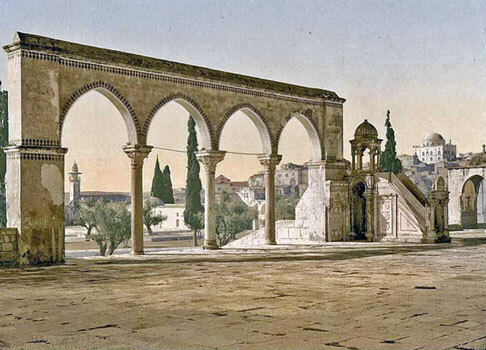 When the kaiser decided to visit Jerusalem as well, roads were paved and flags were hung amid raised Ottoman hopes of stronger ties between the world’s two largest empires. 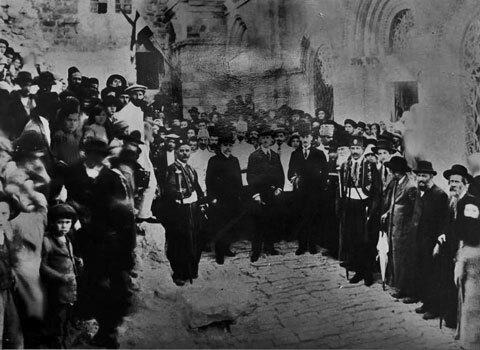 Aside from Mayer Rothschild Hospital, the kaiser visited the Lemel School (the first in Jerusalem to teach secular subjects, and the first to provide vocational training) and the Tiferet Israel (“Glory of Israel”) Synagogue, both established by his Austro-Hungarian subjects. 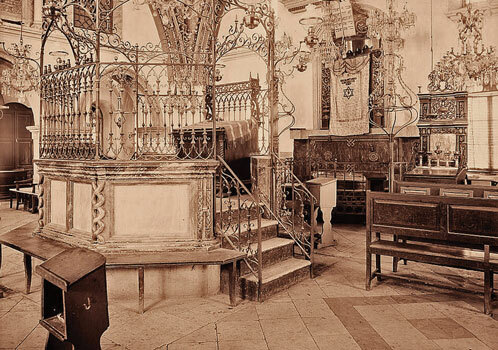 The synagogue was built between 1857 and 1872 by Jerusalem’s Vohlin Hasidic community (so called because the majority of its members originated in the Ukrainian region of Vohlin), with funds from the Ruzhyn and Sadigor Hasidic dynasties in Russia and Austria, and was named after Rabbi Israel Friedman of Ruzhyn. 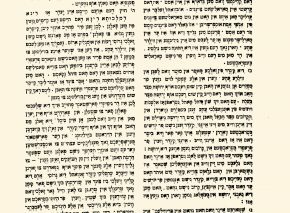 The Hasidic master purportedly instigated its construction after his disciple Nisan Beck, who had emigrated to Ottoman Palestine, returned to visit his mentor in Sadigor. 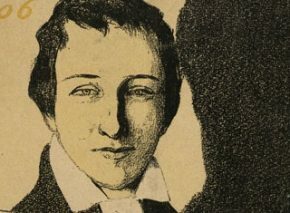 Beck informed the rabbi that Czar Nicholas I of Russia was about to purchase land close to the “Wailing Wall” and build a church and monastery there. 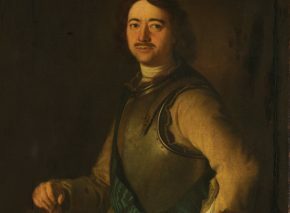 Beck came back to Jerusalem with a mission – to buy the site from its Arab owners, whatever the cost, before the czar made his move. Rabbi Israel raised the capital to acquire the property, despite its exorbitant price, and built a synagogue there. 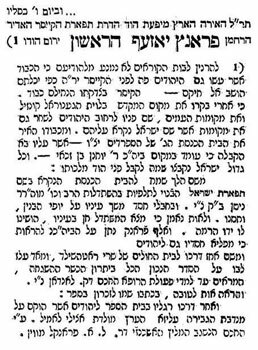 A famous Jerusalem anecdote recounts that Tiferet Israel was almost completed before the kaiser’s visit, apart from the dome on its roof. Construction of this last, inessential feature had been delayed, as the money had run out. 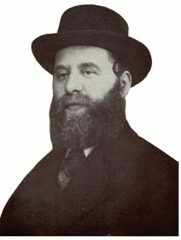 Wondering at the missing dome, Franz Joseph was informed by the quick-witted Beck (who also served as the synagogue beadle) that Tiferet Israel had tipped its hat in his honor. Amused by Beck’s reply, Franz Joseph granted him the funds to complete the structure. The emperor, then, did donate substantially to the building’s completion. Yet there’s no indication here that the money was earmarked for the dome, nor is there any reference to Beck’s comment about the synagogue tipping its hat to Franz Joseph. 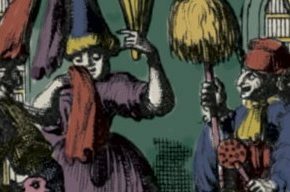 Frumkin might have been unaware of those details, but as he was Beck’s close friend and former brother-in-law, that seems unlikely. So it was Rabbi Israel of Ruzhyn’s son, Rabbi Abraham Jacob of Sadigur, who financed the completion of the dome. So even at the end of the 19th century, tourists in Jerusalem were not yet privy to the legend of the emperor Franz Joseph and the cap. 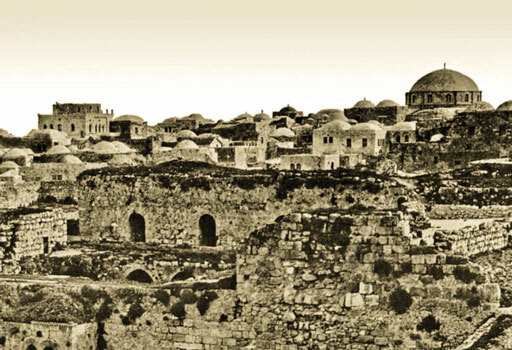 Ben Yehuda’s description indicates that the dome remained green for years, with the Ottoman authorities doing nothing about it, presumably because of their weak standing in Jerusalem. The structure was repainted only at a Jewish baron’s initiative. Ben Yehuda would seem to be a reliable source. 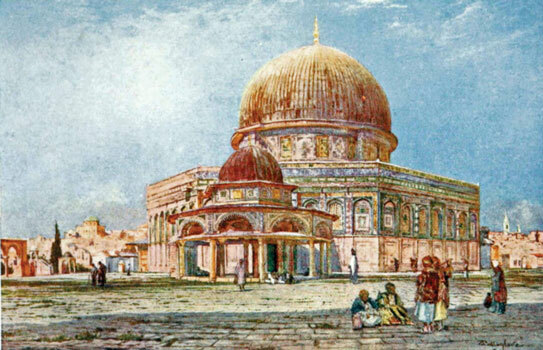 Yet in Frenchman Pierre Loti’s illustrated travelogue, published in English in 1895, the synagogue’s dome is green. So maybe Baron Rothschild’s request was ignored, or – this being the Middle East – it took years to be fulfilled. Or perhaps the illustration in Loti’s book predated the dome’s makeover. Either way, sketches from the early 20th century depict the cupola in white or gray. 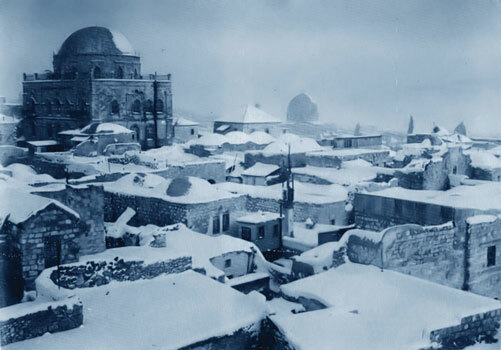 Tiferet Israel and its dome overlooked the Jewish Quarter for some eighty years. 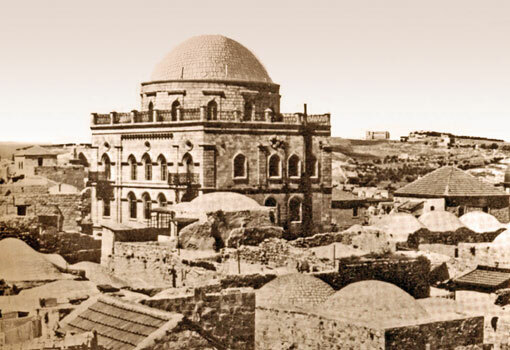 In the throes of Israel’s War of Independence, Hagana fighters used the synagogue roof as a lookout point, and bitter battles were fought within the building. 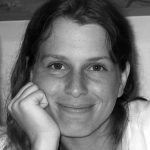 Defended by residents of the Old City as well as soldiers – including some of the youngest participants (and casualties) in the struggle to maintain a Jewish presence in the quarter – Tiferet Israel became a strategic symbol of defiance. 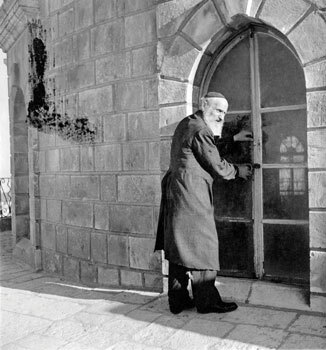 It watched helplessly as the quarter’s Jewish inhabitants were driven from their homes on 19 Iyar, May 28, 1948. 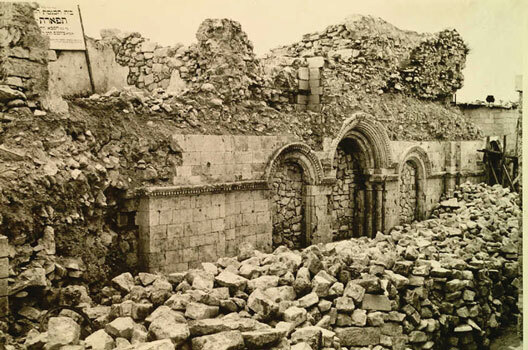 The next day, Jordanian forces blew up the entire synagogue, leaving nothing of the dome or its adventures. But those who’d been forced to abandon it never stopped dreaming of one day gazing down at Jerusalem yet again, from the soaring dome of a rebuilt Tiferet Israel. In December 2012, sixty-four years later, plans to restore the “Glory of Israel” were approved, finally placing that dream within reach. Excavations have revealed remnants of a much earlier destruction, by the Romans in the first century, and reconstruction recently commenced. The question is, what color will the dome be this time?